White sands, sunny skies, and clear seas: Southern Thailand really does offer the perfect escape from reality! Many of its beaches turn into exciting nightlife venues after dark, making the region a great place to unwind and let loose. 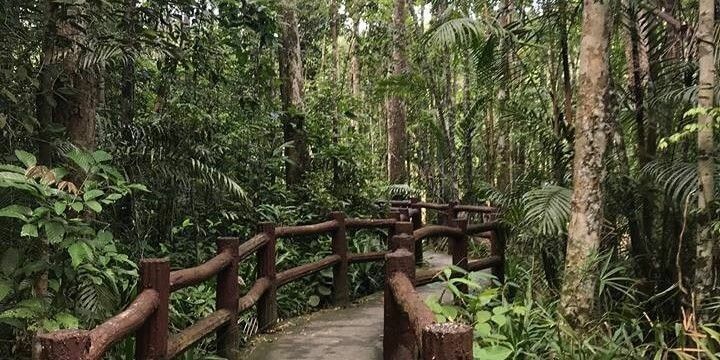 If you’re more interested in wildlife than wild nights, check out some of southern Thailand’s natural beauty, including forests, parks, waterfalls, and hot springs. The main reason people visit the South of Thailand is for its white beaches and blue sea. One of the most idyllic beaches is on the 21-square-kilometer island of Koh Tao. Koh Tao, and other nearby islands such as Koh Samui, have some of the best-preserved coastlines in the country, meaning the beaches and waters are extremely clean and safe. These islands are consequently great diving destinations, offering the opportunity to spot turtles, stingrays, barracudas, and sharks. Koh Samui features some of Thailand's best-preserved coastlines. Just 45 kilometers from Koh Tao, you’ll find Koh Pha Ngan, a must-see for party people. 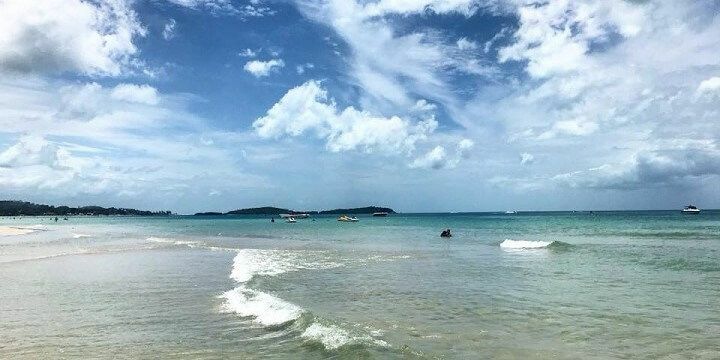 During the day, its beaches are great for sunbathing and relaxing, but the island is also home to Thailand’s most popular monthly Full Moon party, transforming Koh Pha Ngan from peaceful paradise into a popping party venue. Koh Phi Phi is well-known for its beach parties. 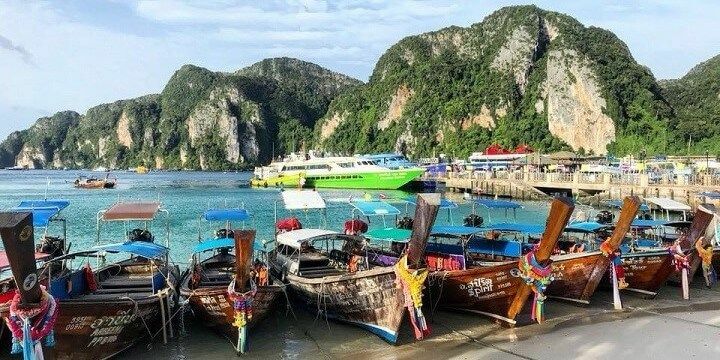 Another great location for beachfront parties is the tiny, twelve-square-kilometer island of Phi Phi. While its beach bars are not as cheap as elsewhere in the region, they offer a range of music and atmospheres, as well as tasty cocktails. Thailand is infamous for elephant rides, monkey shows, and other forms of entertainment that hurt animals; however, many of southern Thailand’s centers and sanctuaries help animals in need. Koh Samui’s Elephant Sanctuary, for example, cares for older elephants that have be harmed in the entertainment and logging industries. Book a half-day programme at the sanctuary to prepare food for the animals, feed them, and walk them; however, the center does not offer the opportunity to bathe with or ride the huge mammals, as these activities are highly distressing for elephants. 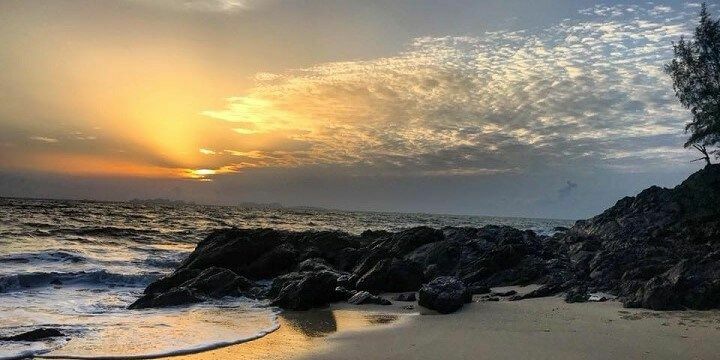 Don't miss out on the beautiful sunset on Koh Lanta. If you prefer smaller creatures, check out Lanta Animal Welfare on Koh Lanta. You can choose to simply relax and cuddle with stray cats, or volunteer for the day, helping with tasks such as cleaning and feeding. If you pop along before the midday heat, you can even take a stray dog on a walk along the beach! One of Southern Thailand’s most incredible natural paradises is the Khao Phra Thaeo National Park in Phuket, full of wildlife and amazing waterfalls. Why not follow the eight-kilometer-long hiking path from Bang Pae waterfall to Tonsai Waterfall? The latter is more accessible and a great spot for birdwatching. For more stunning water features, check out Krabi’s Emerald Pool. The path to the Emerald Pool leads through thick forest. This shimmering natural pool is a great place to take a dip to escape southern Thailand’s intense heat, but be careful: getting in and out of the pool is tricky, owing to the slippery rocks. If you’re on Koh Samui, head to the two Na Muang Waterfalls. Start at Na Muang One, which flow down into a beautifully clear pool, before taking the 30-minute hike up to the smaller, but equally stunning, Na Muang Two. You don’t need to head into the jungle to enjoy a hike: there are plenty of easily accessible viewpoints around Southern Thailand. 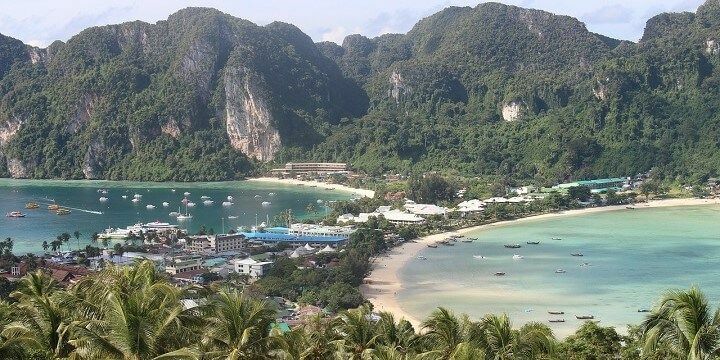 The hike to Phi Phi’s viewpoint is pretty exhausting, but definitely worth it! The view over Koh Phi Phi is worth the exhausting hike. Once you’ve caught your breath at the first viewpoint, continue up the sloped path to the second, where you can dangle your legs over the 186-meter-high mountain-top platform. Phuket also offers wonderful panoramic views; for example, from the Karon Viewpoint, from where you can see three of Phuket’s beaches. Southern Thailand features amazing beaches and islands.